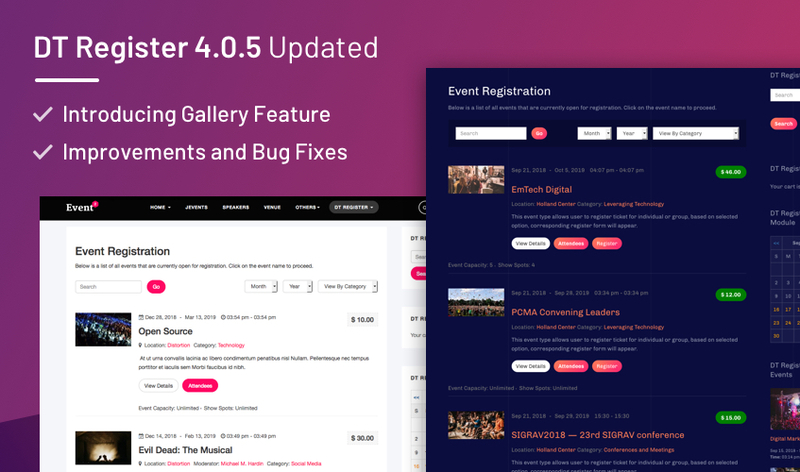 This week, we are releasing an update for Joomla events registration extension - DT Register version 4.0.5 with image gallery new feature, Google reCAPTCHA support in event registration form, improvements and bug fixes. Last week, we released DT SMS 2.0 Beta with with bug fixes and improvements support. 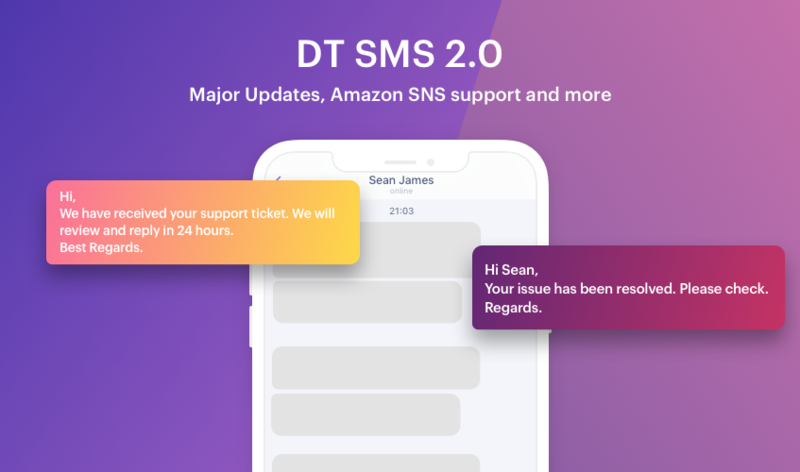 Today, we are releasing DT SMS 2.0 Stable with new improvements and bug fixes. DT SMS is a powerful SMS messaging Joomla-based applications. DT SMS can enable your Joomla installation to behave like a smart device by sending and receiving SMS messages, but unlike smart devices, it is designed to scale up and support high volume messaging. DT SMS supports 2 most popular SMS provides: Twilio’s gateway and Amazon Simple Notification Service (SNS). 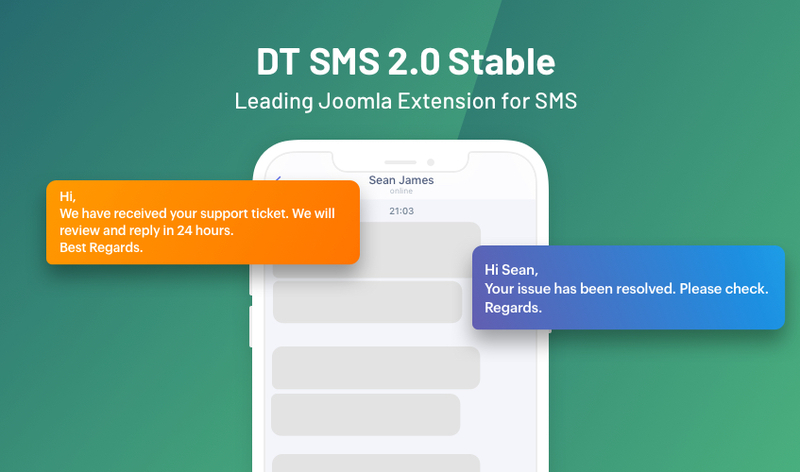 DT SMS is a powerful Joomla SMS extension designed to automate SMS messaging with Joomla-based applications and users with smartphones/tablets. DT SMS can enable your Joomla installation to behave like a smart device by sending and receiving SMS messages, but unlike smart devices, it is designed to scale up and support high volume messaging. DT SMS supports 2 most popular SMS provides: Twilio’s gateway and Amazon Simple Notification Service (SNS). Note: this preview release is for testing purpose, DO NOT use it for your project. Last week, we released preview for DT SMS 2.0 with major updates and Amazon SNS support. 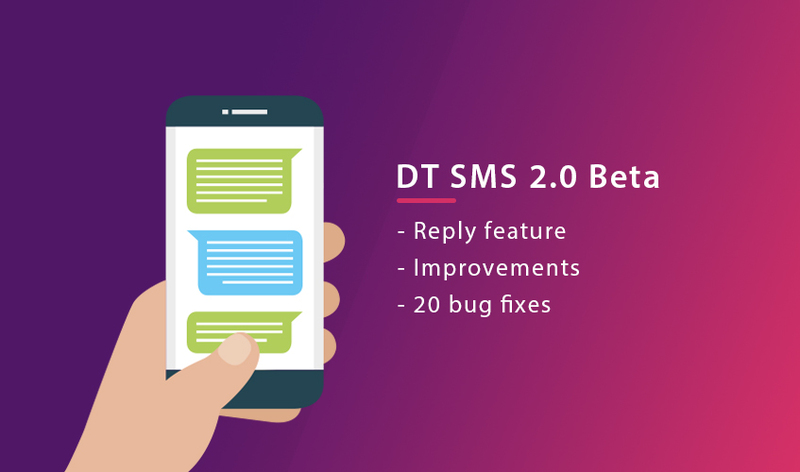 Today, we are releasing DT SMS 2.0 Beta with new features, improvements and bug fixes. 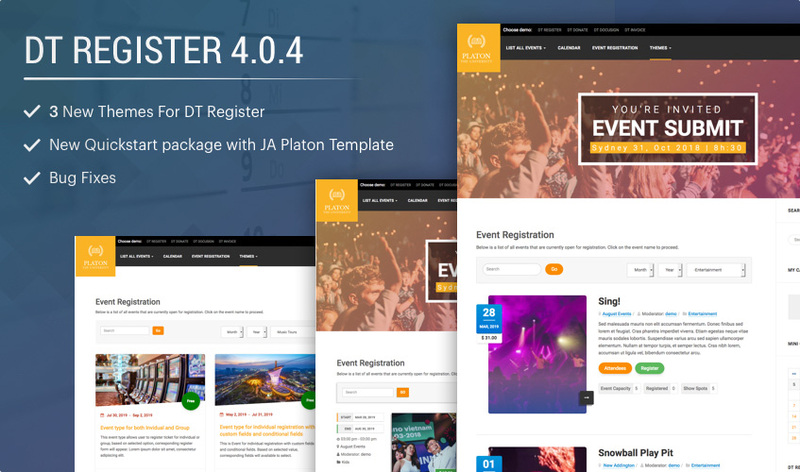 As stated in roadmap, DT Register 4.0 will have 4 themes by default with different layout, color theme and style. Before, we released Grid theme and List theme, today, we are releasing 3 more themes: Grid 2, Linear and Retro theme. We also rebuild our quickstart package with JA Platon Joomla template with all themes included and demo data. This will help you to replicate our demo site in easy way and can help you quickly build an event booking website.